The NCHS Marching Grizzlies Score at Poca! On September 30, 2017, the band traveled to Poca for a competition and performed in front of the judges. They played their hearts out and represented the school extremely well. The group of students have big hearts for the band and the county. The overall band scored 3rd place. The drum major, Laura Lynch, scored 1st place. The color guard achieved 1st place, with Kelcie Spinks as Captain. The Majorettes achieved 1st place, with Emmalea Johnson as Captain. The trumpet soloist, Aden Facemire, achieved 1st place. The drumline earned 3rd place, with Rev Workman as Drum Captain. 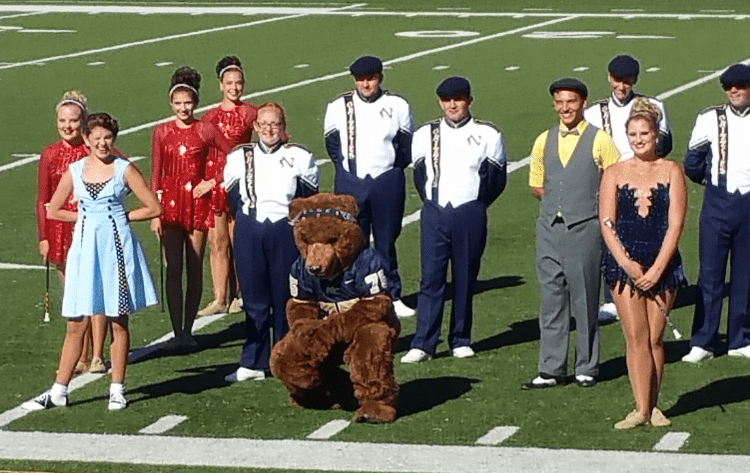 The NCHS Marching Grizzlies were merely 0.6 of a point from winning Grand Champions!